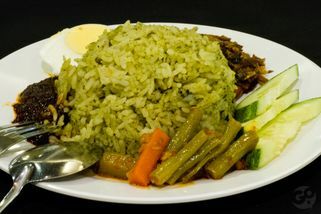 LG232B, Lower Ground Floor,The Gardens, Mid Valley City Lingkaran Syed Putra, 59200 Kuala Lumpur. Head toward LG to the direction of Maybank, pass by Big Apple Donuts, it is located opposite Yu Yan Sang Mid Valley. Sbread isn’t just a bake shop, as the name may lead you to think. They do sell bread with a choice of two unique kinds of kaya, but they also offer other local specialities for breakfast, lunch and dinner. 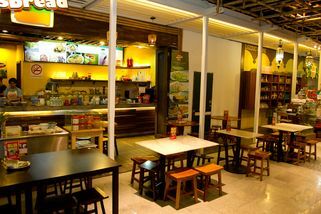 Located in the basement of The Gardens Shopping Mall, Sbread recreates a roadside warung environment in air-conditioned comfort. 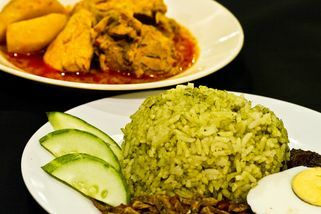 Signature dishes include Nasi Lemak, Penang-style Laksa, Charcoal Bread with an unusual Yam Chunk Kaya, and White Bread with a deliciousThai-style Kaya. 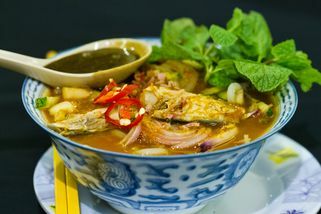 The Thai-style Kaya is made to a secret recipe and has a smooth, creamy texture that is less 'sticky' than regular Kaya. Had their recommended Charcoal Bread with Yam Spread, I like the idea of twisting the normal kaya to yam as I'm a yam lover just that I didn't expect them to pour the Yam Kaya on the Charcoal Bread just like the whole bread soak in the kaya .. too sweet and is 4.80 for a slice of bread ..
"Pandan Nasi Lemak Rendang Ayummy~~"
Overall the nasi lemak was good but the rice was too soft, too much water in it and caused them to stick to gather like glutinous rice.... 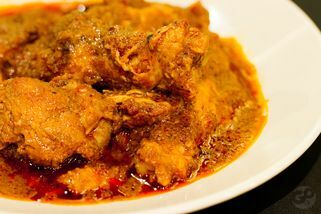 The rendang taste was abit off compare with those normal rendang, maybe it was their secret recipe.. Wanted a receipt but they give me something like a note which a year old kid can write it too. The receipt was just numbers and without any words saying that it is from Sbread.. need to improve it! Soya bean was too sweet.. too much syrup! "really hard to find you guys!" I only have a taste of your charcoal bread with pandan spread. didnt taste lika a pandan at all..but anyway, i think it's good for people who dont like sweet stuff. Its less sweet, good but didnt fit my taste. "I saw you on GoMakan.com!!" I saw you on GoMakan.com!! 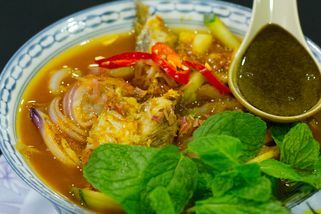 They're popular for their authentic assam laksa, with ingredients brought over from Penang. 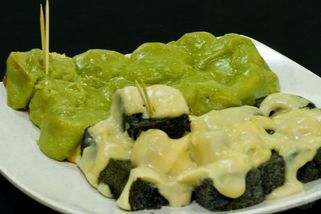 But my personal favourite is the Charcoal Bread with Pandan Kaya. My oh my. Superb! You can even buy some to take home. Go and try for yourself.